Nepal is an abode of Himalayas. It’s gifted with some of the most majestic mountains in the world. Out of the 14 Eight-Thousander peaks, 7 remains in Nepal. Along with these mighty mountains, there are 100s of smaller peaks which caters the enthusiastic climbers. These can be cheaper than climbing the Everest and can be completed with ease. Island Peak and Mera Peak are the two most popular smaller peaks in Nepal. These two mountains attract the most amount of climbers in the country. The climb may account for a day or two, hence, it easier to undertake small peak climbing. An expert as well as an amateur climber can complete the climb without the need of any expedition. Here are some holistic differences between the two to help you decide better. Island Peak or Imja Tse is a small peak located at the Khumbu region. It measures 6,189 meters (20,305 ft). It was named Island Peak by Eric Shipton’s party in 1951, since it appears as an island in a sea of ice when viewed from Dingboche. An Alpine PD peak, you need to have proper technical skills to ascent the peak. Cramponing, harnessing and ice-axing is essential. A Sherpa guide will always be there to assist you during the climb. Most of the trail encounters trekking, however, the last 400-500 m section requires climbing through snow and rocks. The ascent is generally started during early morning. 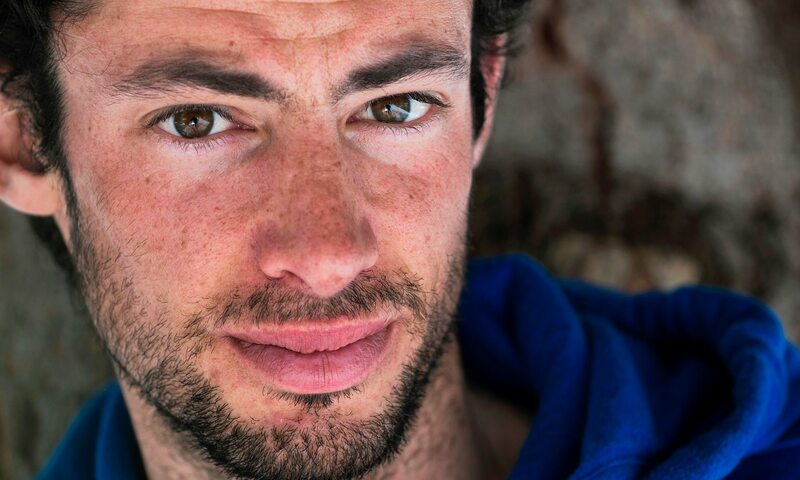 Around 2 am, you get up and ready to tackle the climb with your ice-axe, ropes and head-lamp. You may reach the summit around 11 am-12 pm in the morning. The rest of the time will be spent descending all the way to the Chhukung village, which offers better tea-house for lodging. Mera Peak at 6,476 meters (21,247 ft) is known as the highest trekking peak in the world. An Alpine PD peak, it is technically superior than most smaller peaks in the region. it is located in the Hinku valley of northeastern Nepal. It contains 3 main summits. Most climbers take on Mera North, the highest of them all. You would need proper technical skills to ascent the peak. Cramponing, harnessing and ice-axing will be equally essential. A proper logistical support and qualified Sherpa guides will always be there to assist you. From the summit, 5 of the major peaks will easily be visible, including Mount Everest. Most of the trail accounts for trekking. The final 600-700 meters ascent requires climbing through snow, rocks and ice. The ascent starts early morning. You may reach the summit by noon and back to Lower Base Camp by the evening. Both the trip starts and ends at Lukla. The commute to Lukla is facilitated by the domestic flights. You’d generally trek 10-12 days and keep 2 days for climbing. A spare summit day is kept in case you aren’t able to summit the previous day due to bad weather. 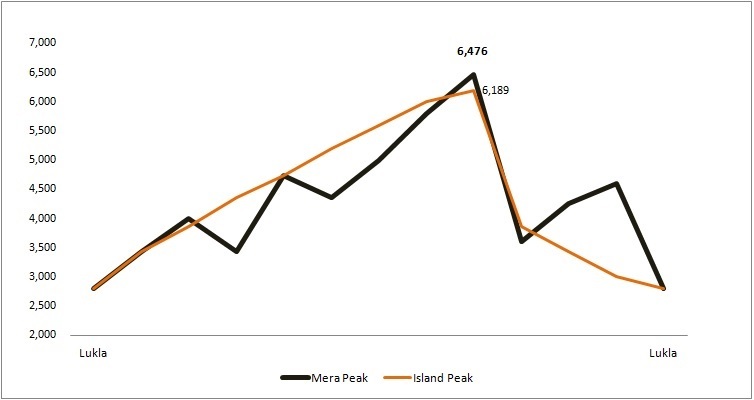 Island Peak’s summit is just 287 meters lesser in height than the Mera Peak’s summit. Both requires a good amount of ice-axing, alpine style of climbing through ropes and cramponing. As the summit generally lasts only a day, the lengthy climb may prove to be a fatiguing experience for the most climbers. There can’t be other pleasures than watching the movies – masterpieces – ever made on the subject, Climbing. Since the advent of commercial climbing and digital tech, many unexpected climbs have been captured or filmed for the fun of watching. Well, here are 5 of such movies which have made a mark with their amazing story and cinematography. You must add these movies in your bucket-list. Touching the Void recalls the story of 2 climbers who faced an ill fate during the climb of the Six-thousander Siula Grande in Peruvian Andes in 1985. Joe Simpson and Simon Yates venture out to ascent the Siula Grande. Their ascent goes well, however, while descending they a face sudden storm which encapsulates the entire summit. The succeeding plots cover more on Joe’s ordeal. He survives the fall, manages to come out alive through a crevasse and crawls all his way to the base camp for day. North Face is a movie based on the events of 1936, when two competing teams climbed the Eiger via North Face. The German climbers included Toni Kurz and Andi Hinterstoisser from Berchtesgaden. The drama unfolds once the two German soldiers leave the Army to attempt the Eiger (falsely claiming one of them is getting married and the other is to be Best Man). The competing team of Austrians that eventually teams up with the German team are portrayed as hoping for a Nazi-led incorporation of Austria into Germany. Valley Uprising depicts the counterculture lifestyle of rock climbers living inside Yosemite valley. Their lifestyle was popular for dumpster-diving and wild parties that clashed with the conservative values of the National Park Service. The movie presents the adamant rock climbers pushing their limit to climb Yosemite’s cliffs. “Valley Uprising” is the riveting, unforgettable tale of this bold rock climbing tradition in Yosemite National Park: half a century of struggle against the laws of gravity — and the laws of the land. Meru is a documentary film chronicling the first successful ascent of the “Shark’s Fin” route on Meru Peak. After attempting but failing to summit Meru in 2008, famed climber Conrad Anker, Jimmy Chin, and filmmaker/photographer Renan Ozturk returned to ascent the mountain. A 2,000 meters wall known as the “Shark’s Fin” is toughest part of the climb. The movie presents both the attempts made by the team. The 2008 expedition which failed and the 2011 expedition which went successfully. 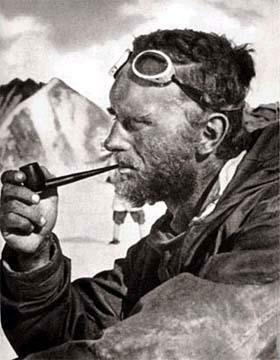 The Wildest Dream is a docudrama based on the 1924 British expedition of the Mount Everest, when the climbers George Mallory and Andrew Irvine disappeared in the mountain. The movie presents two different stories; one about climber Conrad Anker returning to the Everest to investigate Mallory’s disappearance and the other a biography of Mallory told through letters and archival footage from 1924. It is one of the most appreciated movies among the moviegoers. Entertainment in August 2010 as The Wildest Dream: Conquest of Everest. The film was released in the UK by Serengeti Entertainment in September 2010 as The Wildest Dream. Rope is one of the most essential gears for any climbing activity. Learning about the durability and resistance of each types of ropes can ease off your work and even save you in the nick of time. Here is the list of modern ropes available in the market and their usages. A dynamic rope is a somewhat elastic rope used primarily in the climbing, such as; mountaineering, rock-climbing and boldering. The greater stretch allows a dynamic rope to absorb the energy of a sudden load, which is quite common during the climbing. The sudden fall or the heaving loads of the climbers can counter-react on the rope’s strength, therefore, dynamic ropes helps ease such loads and lessen the chances of breakage. Kernmantle ropes are the most common type of dynamic rope, and nylon has replaced all natural materials such as hemp since 1945 for durability and strength. The modern ropes are mostly made from Nylon, which requires less maintenance, and rated by the UIAA for certain standards and testing. They come in a variety of lengths and diameters, with the most common lengths being 50, 60, and 70 meters. Ropes that are frequently used are often inspected for cuts, abrasions, or frayed areas; any cut or fraying that passes into the core of the rope is cause for concern. Ropes can also be washed to clean them of any extensive dirt or grime. Single ropes are designed to be used alone, and are by far the most common, and used for top-roping, sport climbing, and trad climbing. Half ropes are also used as a pair, but only one rope is clipped through each piece of protection- the climber alternates which rope is clipped through each piece. On wandering routes where protection is placed far apart on either side, half ropes can significantly reduce rope drag. There are all-purpose dynamic ropes available too which can be used for all the climbing purposes. A static rope is designed not to stretch when placed under load, and are mostly used for rescue operations, lifting the loads and caving etc. The static ropes have fewer purposes during the climbing and are restricted to certain applications. It isn’t recommended to use static ropes during any form of climbing, except abseiling. One hardshellwaterproof Gore-Tex jacket with large hood to accommodate the climbing helmet. The Arc’teryx SV range is expensive but offers excellent wind and water protection. Island Peak is one of the most climbed mountains in Nepal, mainly for its easier technical accessibility and lesser altitude. Island Peak or Imja Tse at 6,189 meters is an Alpine PD+ peak mainly know for the sports climbing. It was named ‘Island Peak’ by the Erik Shipton’s party in 1951, because it seemed like an island floating in the sea of ice when seen from Dingboche. 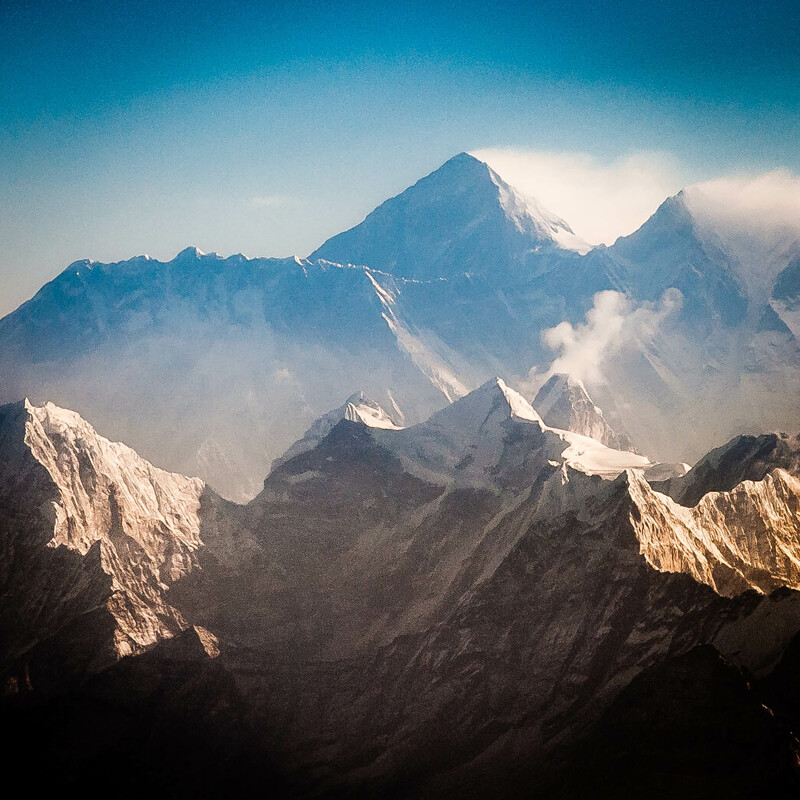 Located at the Khumbu region of Nepal; which is also known for possessing Mount Everest, Lhotse, Ama Dablam and countless other peaks, Island Peak accounts for a fairly easy climb and can be done by amateurs as well as experts. The ascent mostly requires scrambling and ice-axing skills. Cramponing becomes essential during the Ice wall climbing and thick snow areas. Imja Tse summit was first climbed in 1956 by a Swiss team as a training exercise in preparation for Mount Everest and Lhotse. Since then, it has been climbed thousands of time by hundreds of climbers, mainly for sports, training or serious climb. The summit attempt from Base Camp (BC) avoids a night spent at Advanced Camp (AC) that, during high season, can get overcrowded. It may be necessary to negotiate with other groups before leaving BC in order to ensure that there is a space to pitch your tent at AC. An ascent from BC requires a very early start (midnight or earlier) and often means a very late finish (sometimes in the dark). This option should only be considered by fit groups who are well acclimatized. Ascending from AC means you can start at 2 am and still descend in daylight. If you stay at AC you will need to take water, food and camping equipment with you. There are no toilets. Some people actually enjoy the experience and the atmosphere at the AC! It allows you to feel closer to the mountain and its environment and the surrounding scenery is very beautiful. In order to reach the summit you’ll be expected to be able to climb to Scottish Grade II standard (steep snow, possible use of two ice tools, possible difficult cornice exit, but technical difficulties are short) or Alpine PD (some technical climbing and complicated glaciers). It can generally be climbed during two different seasons. Spring lasts from February to June, and Autumn lasts from September to November. The place can be really crowded during these two occasions, and most climbing takes place in groups to avoid hassle. It’s easier to climb the Island peak compared to most other smaller peaks, and is generally completed within a day, however, one must need to comprehend the basic skills of ice-axing, cramponing and staying fit. Trekking can be a great opportunity to get in shape and imbibe the local environment for the climb. Trekking peaks are the smaller peaks in Nepal which were opened for recreational climbing and training. They are called “Trekking Peaks,” because they mostly require trekking with minimal climbing to reach the summit, and are different than premier mountaineering. Small peaks can be climbed with ease and do not require lengthy Expeditions. Nepal Mountaineering Association (NMA) has classified 33 such peaks as the Trekking Peaks; which are are lesser than 7,000 meters in altitude. Currently there are 326 peaks open for climbing in Nepal. 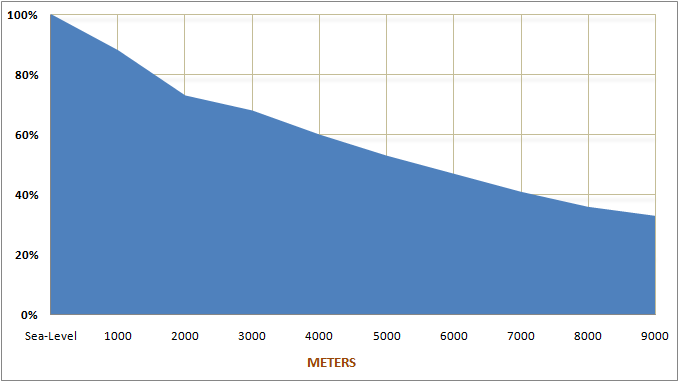 To encourage climbing, NMA has removed the royalty fee from the peaks which are lesser than 5,800 meters in height. These peaks are divided into two groups. Most of them open for climbing during Spring (March-June) and Autumn (September-November) seasons.